Celebrate a loved one's 50th birthday with a gift that is both classic and timely, chosen from the vintage collection at Silver Spoon Jewelry. 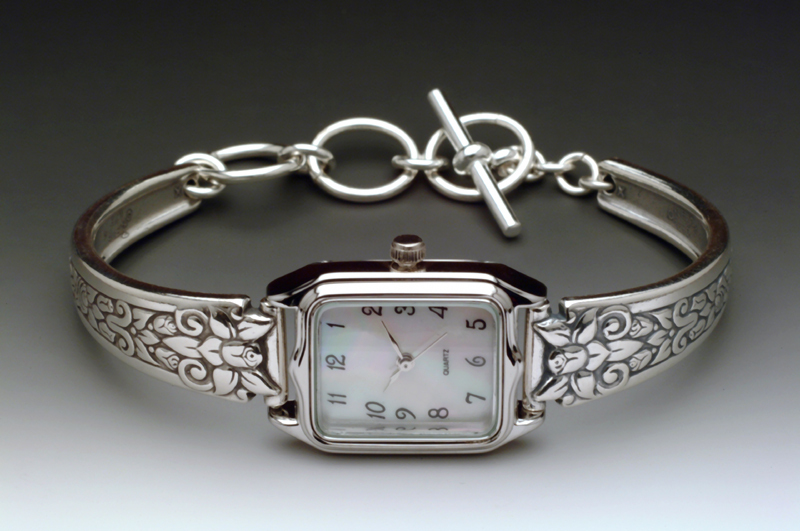 Our Heather bracelet watch, with a smooth rectangle face and a floral motif around the adjustable band, is inspired by vintage English silverware from the 1900s inherited by Silver Spoon designer Jennifer Northrup. It's cast in brass, dipped in sterling silver, then oxidized with an antique finish.